The Office of Wicomico County State’s Attorney Jamie Dykes says a 23-year-old Salisbury man has been sentenced to twenty years in prison for a number of charges he was found guilty on including theft and assault. 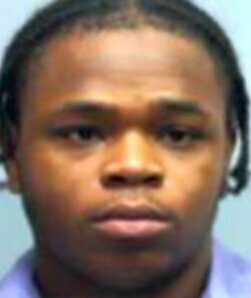 23-year-old Percy Milbourne of Salisbury was sentenced by Administrative Judge S. James Sarbanes of the Wicomico County Circuit Court for convictions in two separate cases. In February, Milbourne was found guilty by a jury of one count of second degree assault. In March, Milbourne was found guilty of violating probation on a possession with intent to distribute narcotics conviction from 2015. Milbourne was also convicted for a June 2018 incident in which he robbed two victims outside of Mojo’s Restaurant on Main Street. Judge Sarbanes sentenced Milbourne to ten years for each conviction, which is the maximum possible sentence. The Judge ordered that they be served consecutively.